The people of Karimui Salt Nomane in Chimbu Province have elected a new member of Parliament. 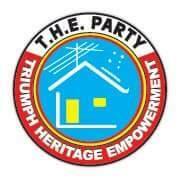 Triumph Heritage Empowerment party candidate Geoffrey Kama was declared the Member-elect at about half-past-two this afternoon by the Returning Officer Caine Tommy at the Dixon's Oval. Mr Kama has ousted sitting Member and Peoples National Congress Party man, Mogerema Sigo Wei. Mr Kama led most of the way during the primary counts and into the elimination round, finishing off with a final tally of 9,136 votes, past the absolute majority of 8,417. This was after the 44th exclusion of Micheal Korry. Tulip Wesu Dola polled 7,696 to be the runner up.